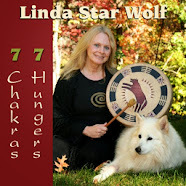 Many of you were unable to tune in live to last Wednesday's teleconference with Linda Star Wolf, so here is the link so you can listen now. And, of course, many of us who were on the live call want to listen and experience it again. 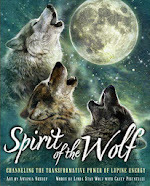 The teachings Star Wolf presented were, as always, powerful, inspiring, clarifying and activating! 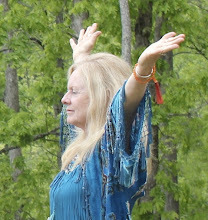 During our time together, she led us in a mini-journey to contact our imaginal selves and download our imaginal cells. We were also encouraged to repeat this process, even daily, as we are ready and able to integrate and assimilate more of our future selves. Numerous callers shared their experiences, and many received words and images of guidance and clarity for their next steps. When you listen, prepare yourself by settling into a comfortable space, setting aside at least an hour for the experience. You may want to have a journal nearby to record your impressions and any messages or images you receive. 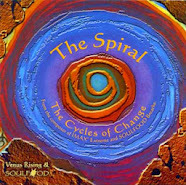 Feel free to post your experiences here on the blog if you feel called or on the Venus Rising Facebook page. Star Wolf would love to hear from you! This call was created as a special and private thank you gift for those who purchased Star Wolf's newest book, Visionary Shamanism. However, now that we have experienced it, Star Wolf is making it available publicly, so, if you are so guided, feel free to share the link with your friends. Again, on behalf of Star Wolf and the entire Venus Rising team, shamanic blessings for this year of the water dragon. May you all ride the back of this magical beast into great and wondrous experiences of your beautiful Selves!